As part of the Malton Festival of Racing you will be able to enter your beloved pooch in our dog show. As well as a classes for racing personalities, we have six classes which will be open to the general public. 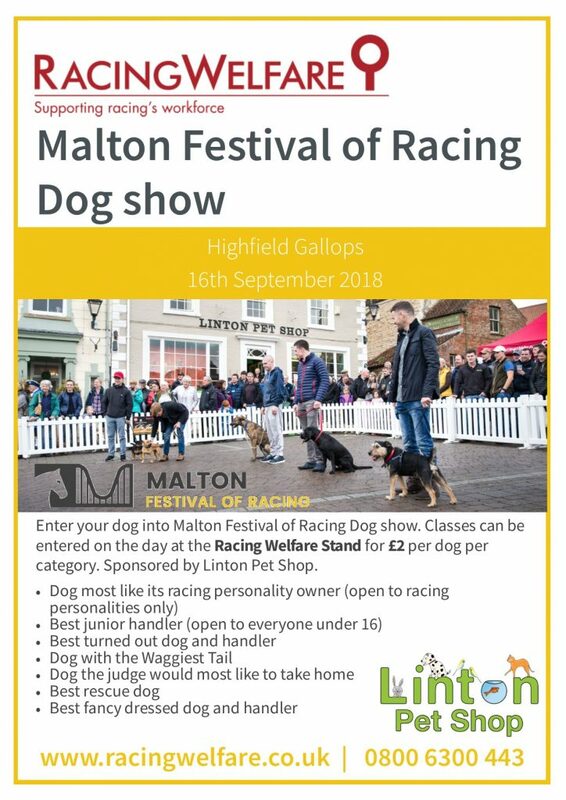 The show, sponsored by the Linton Pet Shop in Malton, will start at 3.00pm on Highfield Gallops and promises to be a fun event! Entry is on the day at £2 per class and there will be prizes for the winner and rosettes up to fourth place in each class.